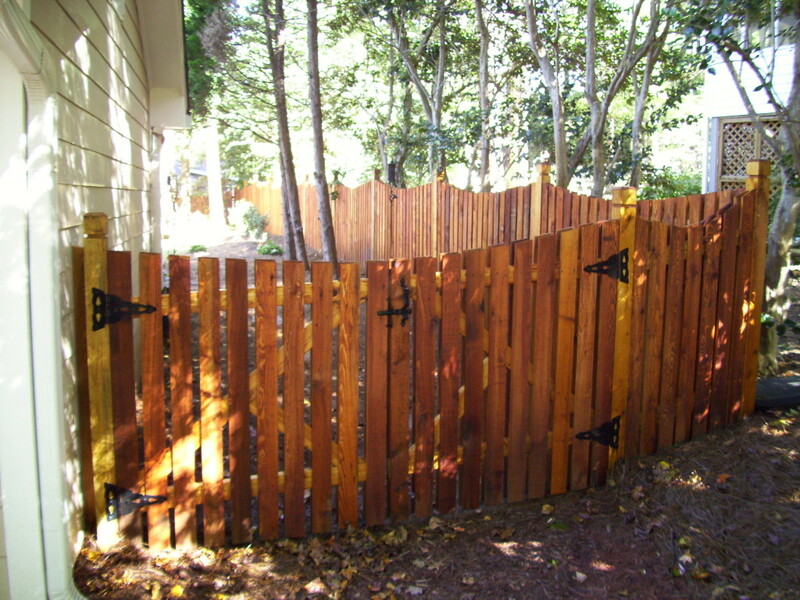 Atlanta Fence Painting, Staining, Sealing, & Repair. 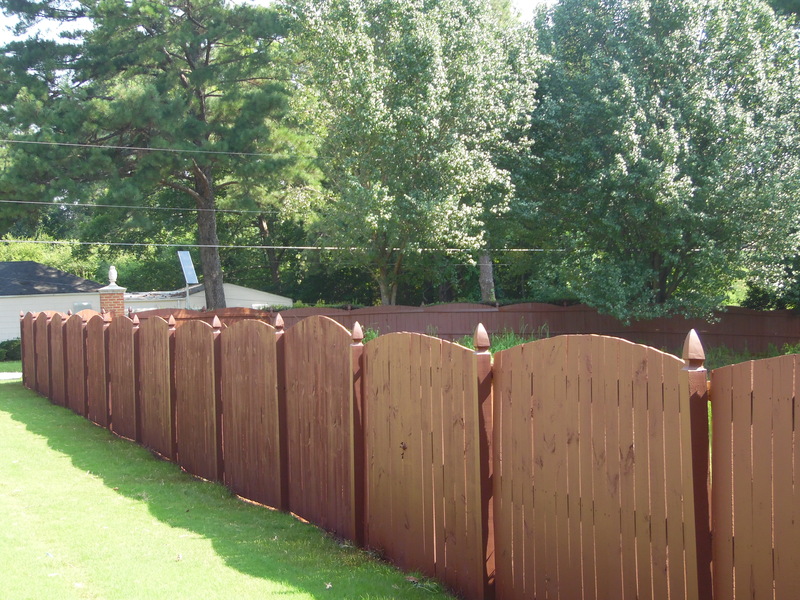 Fence treatments include cleaning, chemical treatment, pressure washing, clear sealants, semitransparent oil based or waterborne, solid stain and major and minor repairs. Warping, cupping boards, splitting pickets are a good indication that you need your fence treated. If current treatment looks faded or your fence looks like it’s seen better days, then it is a great time to give a call. A new installed fence will definitely need to be preserved within one to two week depending upon the sort of treatment to be applied. If the weather in your area has received significant rain or the wood was installed with a deep greenish color, then it would be better to wait several weeks. The value of hiring SNS is the level-of-service, years of experience, and our knowledge with wood preservation. We are able to provide a partial or full consultation for basic or custom. And, we’re heavy handed with the application of product. We also offer a 2 or 3 year warranty for a free one-time touch up when you retain us. Inquire for details. The first step you take should be give us a call or send us an email request for quote or consultation. Let us help you decide what sort of product would be best to apply and why. The added value of selecting SNS to treat your structure should be our reputation, and passion. Our estimators will enlighten you about first time treatment products based upon the species of wood or provide valuable feedback about the best products reapplied to an existing fence or deck. Most commercial grade products are designed to protect and preserve for threshold period of years. Some oil based treatment will generally last between 2 – 4 years and acrylic waterborne solid stains generally last between 4 – 6 years. We will take precaution to protect landscaping in close proximity to the structure. The entire process takes a couple of hours depending upon footage. Treatment entails applying two robust coats of the type of finish you selected with a wet-over-wet method. Then upon completion we will inspect for missed areas and tidy up your backyard. We will protect and clean off hardware. Fence treatment work may be rescheduled due to conflicts with weather to guarantee the proper finish and execution, avoid over spray and ensure the warranty of your project. How long should I wait before getting my fence stained? A. Generally within 4 to 6 weeks. But, It really depends upon if the condition of the wood upon delivery and after installation is complete. If the wood is was wet to the touch from the lumber mill pressurized treatment. Pressure Treated Pine will need a couple weeks of exposure to the sun to dry out a bit if it was delivery wet and looks extremely green too. The greenish color will begin to fade in several week during peak summer and may take longer if your installation was done during the fall or early spring. Q. Can I apply a lighter color over a dark color? A. No, but we have alternative ways to address just about any scenario. Options are always good. Call to schedule an consultation. Q. How often should I retreat my fence or deck?